The Season Spring is pictures as a beautiful woman on this stein. The seasonal zodiac are aligned along the base of the stein. 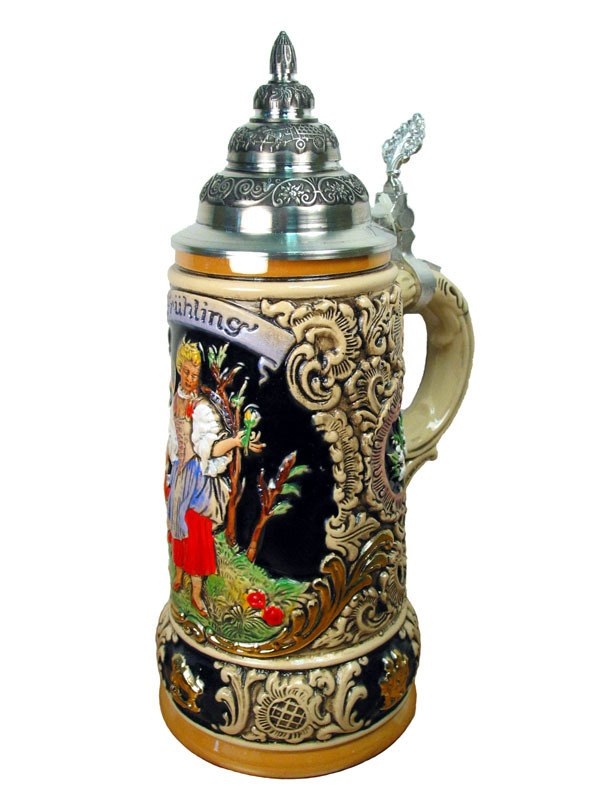 1/2L, 10.2inches tall, pointed quality pewter top. 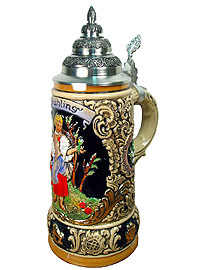 The Made in Germany logo visible on the stein is only a sticker and easy to remove.